I wore this outfit when I went to my college's famous Emily Carr Party. It allowed me to dance however I wanted and yet not worry about what I'm wearing. The shoes are so comfortable that I was on my feet for the whole night! I have also worn this look for dinner, so I feel like its very versatile. This casual outfit is adorable. Greetings! I love this casual outfit, will feel very comfortable together with the shoes. 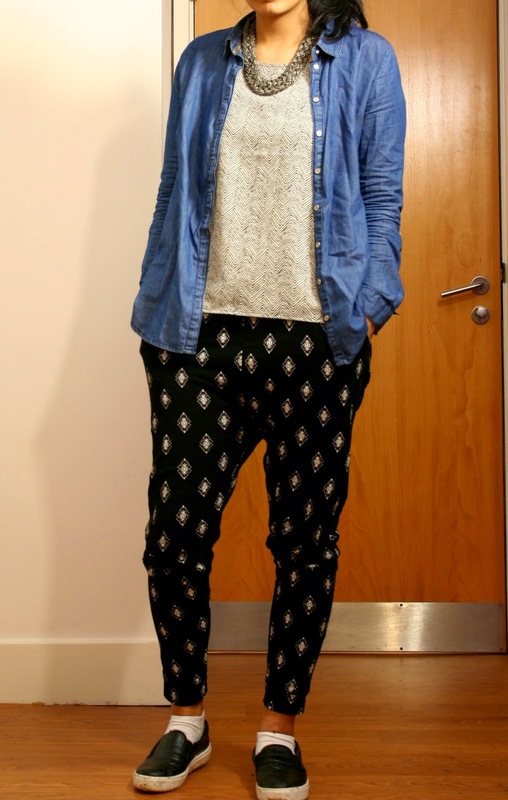 really cute look, love the pants and shoes! I really loved this outfit! Love the pants and the necklace. Those pants look so comfortable, I'd definitely wear those on a night out. And they look great with the shoes!